"My children, for a long time already, I've being telling you about the consequences of your sins, currently so serious and horrific. Satan is proclaming victory in the world, because he see that are few those that face it, through prayer. My children, that's why this Message so important its about the Holy Rosary. Pray the Holy Rosary My dear children, every day. Since Lourdes I've remembered you about that My urgent and desperate appeal...after the Holy Mass that is the greatest prayer, that makes Me more closer of you...the Rosary have so much power! And that's why it is the second way that more unites you to Me. 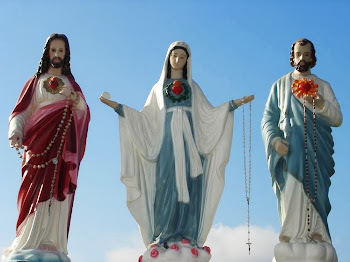 The Rosary have so much power, My children, that when you pray it, satan is so powerless that is forced to return to hell, such is the power of Heaven that crush its evil. The devil does not support the perfume which spreads the prayer of the Rosary...and the Light that it scatters dims it, because satan is the prince of all darkness... Children, now that you recognize how much I LOVE the Rosary, the Power and the Strenght of the Holy Rosary, put it in your hearts!...Pray the Rosary everyday...There is no Grace, no matter how impossible it seems that it is not gotten with the prayer of the Rosary prayed with LOVE. 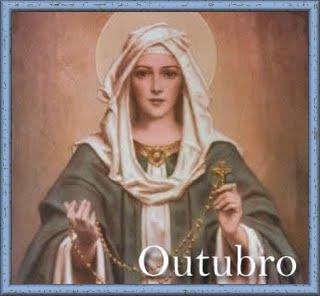 My children, pray the Rosary with Me, every days." "My children, today in this third so serious Message of My Heart, I come "Distressed", for to ask you for to pray for the Church... Pray much for the Pope!...To the bishops and priests, as I see: In the future the faith of the Church suffers a great concussion...Pray My children, as many may lose the faith, if they do not get to fight with the prayer and the fasting, the temptations and the "strenght" of My enemy... As I already said, if the people do not convert and turn back to God, an horrible castigation will soon strike the earth...There is no doubt that it will be worse than the Flood, and the castigation of Sodom and Gomorrah... Pray the Rosary a lot, My children!...Only the Rosary and the Eucharist can save you now...Pray the Rosary every day!...Who put complete trust in Me, will be saved..."
"My children, today I make you feel My Infinite Love...(pause) Look into My Heart: How much Love exists for you! My dear children, My Heart althought sorrounded by "painful thorns", beats of Love for you!... (pause) My children, give yourselves fully to Me, with confidence! My children, pray the Rosary for that you always stay with Me!...Even with all sins that you have, with all your defects, for Love to you...I would give worlds, kingdoms and universes...would throw Me on fire...Everything...for Love to you I would do... I do have now My children, a burning desire of to reveal to you...These Tears that I'd shed lately...are all for Love to you...Only cry for whom is beloved...If I cry for you, is because I Love you infinitely, and because I want to fill you with the Divine Grace... I cry of Love for you, looking for you in the lost ways of your lives...I cry of joy when I see you praying...(pause) Little children, do not be affraid of the dangers - I will always be by your side...I Love you so much! Infinitely... I do bless you all, in the Name of the Father...of the Son...and of the Holy Ghost..."
"My children, I am the last times Heavenly Prophiesied!...I'm sent by God to deliver to you the latest Messages to the mankind. In these time where the "black beast", the freemasory, the "new era", scatters the darkness of the lack of faith along the way, I've been sent by God to lead you to Him as soon as possible. These are the last Apparitions for the mankind...My numerous manifestations today make themselves present to you all. I cried, cried, and asked! And you didn't answered Me...What can I do?...Everything I'm doing for the world's conversion!!... (pause)...this is a complaint...(pause) My numerous Apparitions cannot convert at least "a third" of the mankind...Why such a lack of love My children? The Rosary is the "Great Weapon" that I give to you...My army follow guided by Me fighting the "strenght" of satan and his minions. Soon My Immaculate Heart will triumph, and the Peace will come to the world. 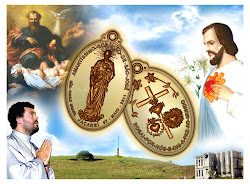 I, the heavenly prophesied of the last times, come back again for to make to you My repeated invitation to conversion - Belive in My manifestations!...Welcome My urgent invitation to conversion! I want not lose you, so turn to God through Me... I do bless you, in the name of the Father...of the Son...and of the Holy Ghost..."
"My children, today I come to speak about The Holy Ghost...My children, the Holy Ghost is the essence of the Holyness!... When HE was poured into Me, at the Annunciation, was shed so fully that made possible the Incarnation of the Word of God, My Divine Son, Jesus Christ... Was the Holy Ghost that acted, hovering over the water surface, at the time of creation...(Genesis, 1-2), It was HE who acted in the Prophets of the Old Testament, these brave men, fair and Saints... Was the Holy Ghost that made My cousin, Elizabeth, proclaim the praises of God, (Luke 1, 42-45), that made Me sing My Magnificat, (Luke 1, 46-55), who acted in Simeon, in Anna, (Luke 2, 29-38)...in John, the Baptist, (Luke 3, 3), and in the Apostles, that in the Day of Pentecost, together with Me, were coated in the Upper Room, with the Power of the Almighty... We saw Him with our eyes: - He penetrated in our lives, (Acts, 2), was the Holy Ghost who guided the Apostles at the early Church...Was the Holy Ghost which acted with Jesus throughout His public Life!... 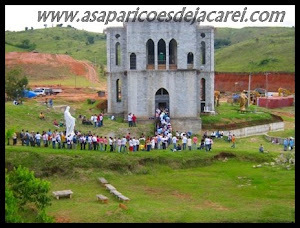 (Luke, 3: 21-22) Is the Holy Ghost "that blows" in all Places where I'm coming "really" and giving My Messages... Is the Holy Ghost who sends Me in Jacareí...to deliver you...My Messages... Is the Holy Ghost that moves and touches My children to meet Me!... Is the Holy Ghost that will make the Triumph of My Immaculate Heart happen...and will descend with all His force in a worldwide Pentecost... Is the Holy Ghost that opens and close the doors of the second advent of Christ's Kingdom!... Is the Holy Ghost, that together with Me, will precipitate into hell, satan and the evil angels and will seal forever the entrance of the hell, for that never they leave... So today, I call you to pray with Me to the Holy Ghost...ask HIM through ME...that will come to you more fully of God and His Gifts, because He will not deny anything to His Heavenly Spouse!... 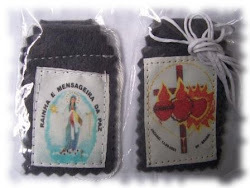 The roses that I bring into My Feets, (the Image of the Queen and Messenger of Peace), are the Seven Gifts of the Holy Ghost, that will be given to you...increasingly you will be impregnated with the Divine Essence...which is the Holy Ghost... I am the Spouse of the Holy Ghost!...That's why I asked that was done the Image with these roses at My Feets...to indicate to you that I want to give to you the Gifts of the Holy Ghost Pray the Rosary to ask Him...I will ask Him with you also...Ask the Holy Ghost and walk sprinkling the Light of God in all ways, in all!...where you pass... The Holy Ghost and Me will make appear "Sanctity braird" everywhere...if you receive My Messages and pray along with Me...(pause)...Pray the Rosary, because I want pray It with you!... I bless you in the name of the Father...of the Son...and of the Holy Ghost..."
"My children, now, I want to talk about the Angels of the Lord...The Angels of the Lord are the messengers of Love...The messengers of Grace...Therefore, the Lord is the God of the heavenly host... God is so infinitely Good, which created a Guardian Angel for every one of you...He created all the Heavenly Host, for to be "carriers", between Him and you. Am the Queen of creation, therefore, I am above of all creatures including the Angels and just under God...as Immaculate part of the creation!... (pause)...God gave Me the army of the Heavenly Host, to defeat the forces of evil, and lead the mankind to the Triumph of My Immaculate Heart... My Angels have the task of to defeat satan and his angels, plunge them into hell, and return back to God the "ground" that they conquered... My Angels have the duty of to cure you of the horrific battles that you waging the enemy day by day, on the temptations; to comfort you in trials, so hard today, to assist you in difficulties and doubts that in you arises, specially about the Eucharist and on My Person, because satan wants to make you no longer accept Jesus in Eucharist, denying Him...and get Me out of your lives... My Angels have the task of to help you live all the gifts that St. Paul speaks in his Epistle to the corinthians, (Chapter 12, 12-14), the prophecy, the gift of tongues, discernment, healing, repouse...and specially the gift of Love, of the Charity, as root of all the gifts of the Holy Ghost, and as the greatest of them all... My Angels have the task of keeping you very deeply in My Heart...They Love you and want you well...Proof of that, is the Zathanye Angel, who comes with Me to give you Messages...Listen Him too, when He deliver you Messages from the Lord... My Angels have the task of preparing and bringing the mankind to the Great Miracle of the Triumph of My Immaculate Heart!... 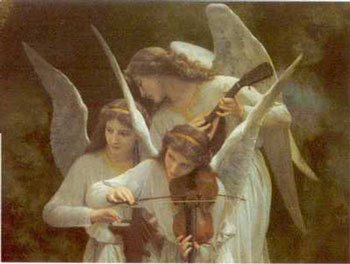 My Angels have the task of keeping you very deeply in My Heart, They loves you, and want you well...Proof of this, is the protection of the Archangels Michael, Raphael, and Gabriel, which I make to be ever more present in your lives... So, have devotion to the Angels. 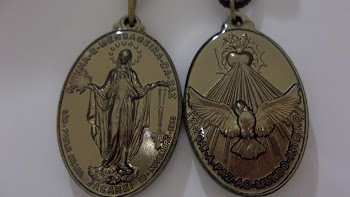 Pray with Them, offer Masses, novenas, Rosaries of St. Michael and St. Raphael, so that they also make themselves present in the world and can act... I am the Queen of The Angels, that loves you so much, with the Angels of God!..." "My children, today I come to talk to you about the obedience to Me...Did you saw, My dear children, on the Messages that I've gave you during this month, how much I love you, and how much I want to help you on the sanctity path's. I invite you to an unlimited obedience to Me, thus obeying God, to Whom I am obedient, you will be obeying to Myself. My children, the obedience leads to the Holiness!...The obedience of you to Me, will bring you to the Triumph of My Immaculate Heart, which its about to come upon the world. 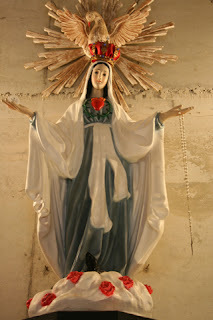 The Triumph of My Immaculate Heart will be the "Great Wonder" that My Lord will grant to the earth! The Triumph of My Immaculate Heart will be the cure for many deseases that are now incurable, deadly and scourged for the men...In the My Triumph, they will no longer exist, because only there will be faithful sons to the Lord...there will no more "Divine trials" for the men...everybody will be full of Grace!... In the Triumph of My Immaculate Heart, the sins will be extinguished, along with its author, and will arrive finally, "The Age of Grace", crushing the "new era" of lucifer, who now wants to destroy Our Holy Church!...The Triumph of My Immaculate Heart will be lining of an extreme Sanctity Church's!... Saints and more Saints!...Martyrs and more Martyrs!...Will lift under the very Powerful influx of the Holy Ghost, that I will breathe into them, and they will give his own life to the Church, under My sweet and maternal gaze. The Triumph of My Immaculate Heart will be the worldwide Pentecost, with the mankind prepared by Me for the Jesus Coming's...This time will be between My Triumph and His Final Coming...I don't know the date, but I know that it is close! Will be the Reward for those who pray with Me now, suffer with Me, with Me repair, and offer themselves with Me! 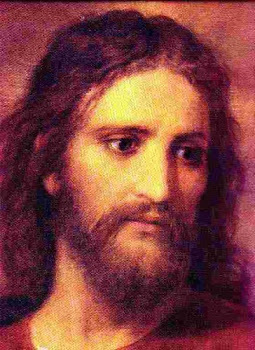 I invite you all to kneel with Me, on "those times", for so that we achive the Victory of Jesus and of Mine!...Pray the Rosary very much for this intention! In do bless you, in the Name of the Father...of the Son...and of the Holy Ghost..."